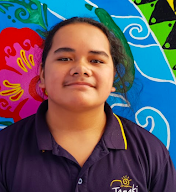 Hi my name is Timeus and today I am going to be talking about my reflection about describing the things that we know about the Panmure Lagoon Pools in New Zealand. There are six fugitive language that we are working on for our work that we are doing. Metaphor, Simile, Hyperbole, Personification, Alliteration and Onomatopoeia. I am going to be talking about these six things that we all know for our work. The first one that I am going to be talking about is Metaphor. This is the same as a simile because it is helping you to tell the reader what it looks like and how it means. Then the next one is simile, This one is very interesting for me because this will help me with my writing, It means that some sentences help you describe it using the words like or as. Some of these things that will actually help you throughout your writing.